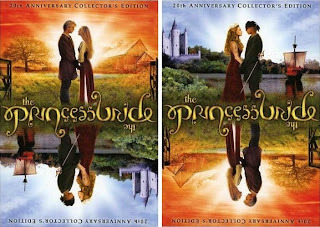 I don't think anyone could say they dislike The Princess Bride, certainly for me it's a classic movie from my childhood. I can remember going to see it in the cinema, and I can remember loving it. Well, as it turns out there's a new 20th Anniversary DVD boxset available, which features a really cool rotational inversion, or ambigram, on it. I'll be buying it. Thought it was cool/interesting/fun enough to share.